I wasn’t sure if we were going to make it today or not, as the weather forecast was looking pretty rubbish but I am sooo glad we did. 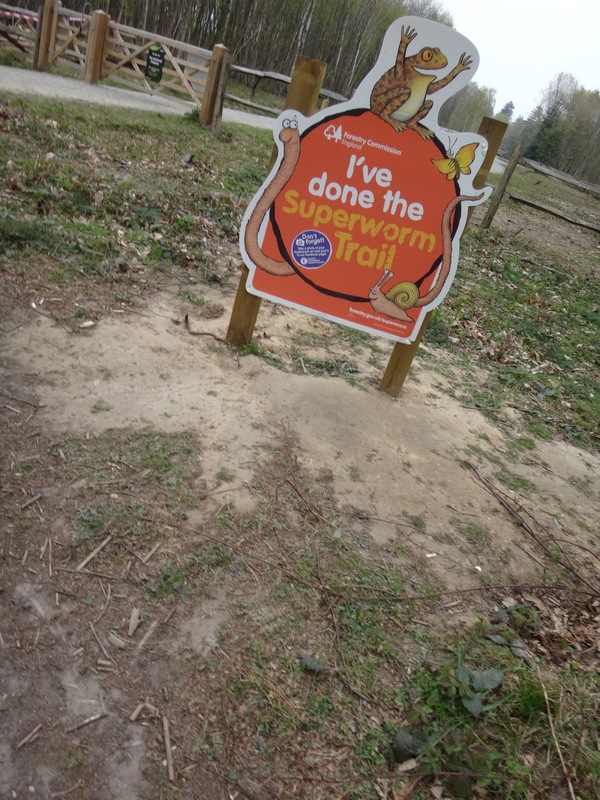 We went for the Superworm trail but discovered so much more. 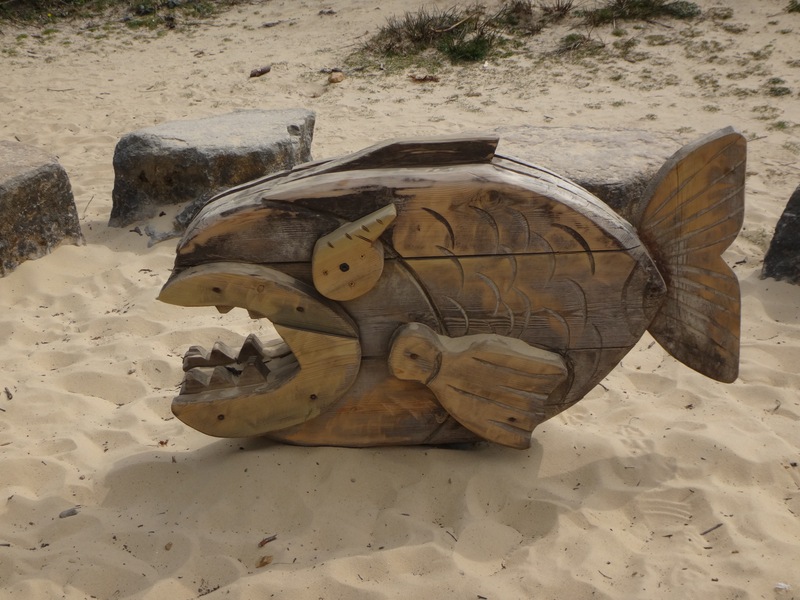 If you are looking for something to do this coming weekend or up to October – when the trail finishes, I would highly recommend checking it out. You can find out if there are other trails closer to you here… as they are all over the UK, and also sign up to receive activity sheets and special offers here. The new cafe and information centre were only finished just before Easter so it all feels really nice and new. This was our first point of call, we took a picnic and sat by the pond just in front of it – I was struck by how peaceful it was – with the sun shining if felt like we were in our own little biosphere! The have a well stocked cafe with healthy kid options as well as a wide range of treats and soft drinks, and a microwave. The ducks on the pond were very tame and provided a source of fascination for Monkey who spent some time pondering if it was as easy to pick up a duck as a chicken. (He’s been learning at nursery). Don’t worry I didn’t let him test his theory on the poor un-expecting ducks! We picked up an activity pack from the information centre which included a mini version (full story) of the book – a handy size for pre-schoolers. An activity leaflet and a piece of string to make your own Superworm out of leaves and cones. It cost £3,50 and also came with a couple of Gruffalo stickers. The trail started on a mild hill which had lovely cherry blossom on either side. For those of you with buggies the majority of the trail is hard standing and where it is a little boggy they have put bark chippings down. There are ten stopping points and plenty of ‘this way’ signs so Monkey navigated all by himself. 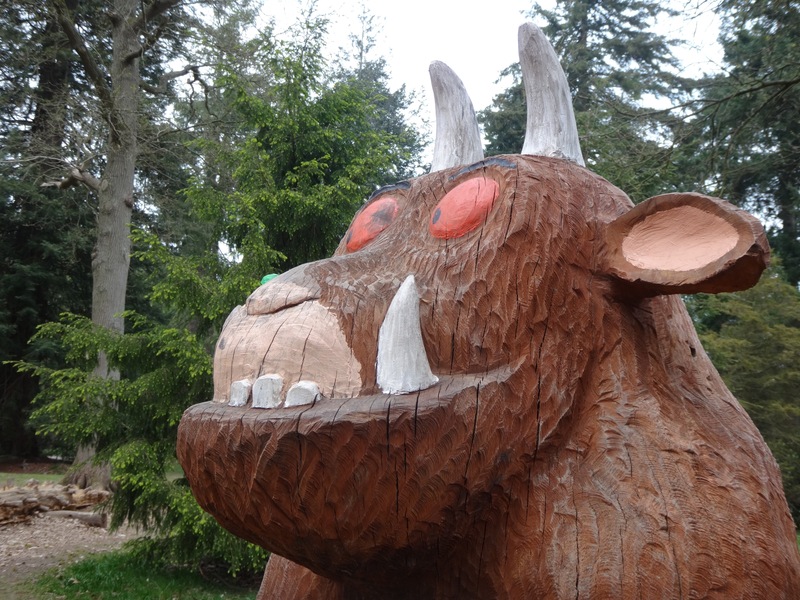 There is also an added surprise for all those Gruffalo fans out there, they still have the 6ft tall wood carving from when they did the Gruffalo trail previously. Its in a bit of a clearing so you could easily picnic around it. Its also marked on a map as a brown statute and its about a 5 minute walk directly behind the play area/go ape kiosk in a straight line. 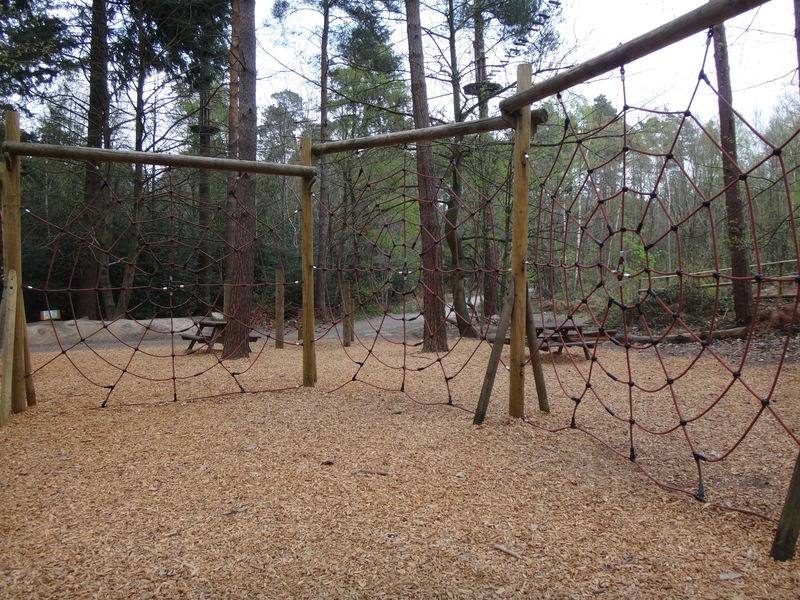 For older kids they also have the Go Ape, we will definitely be going back at a point in the future to explore more as we didn’t even get to see the other half of the map – including the walled garden. If you do decide to take a trip I hope you have as fab a time as we did. 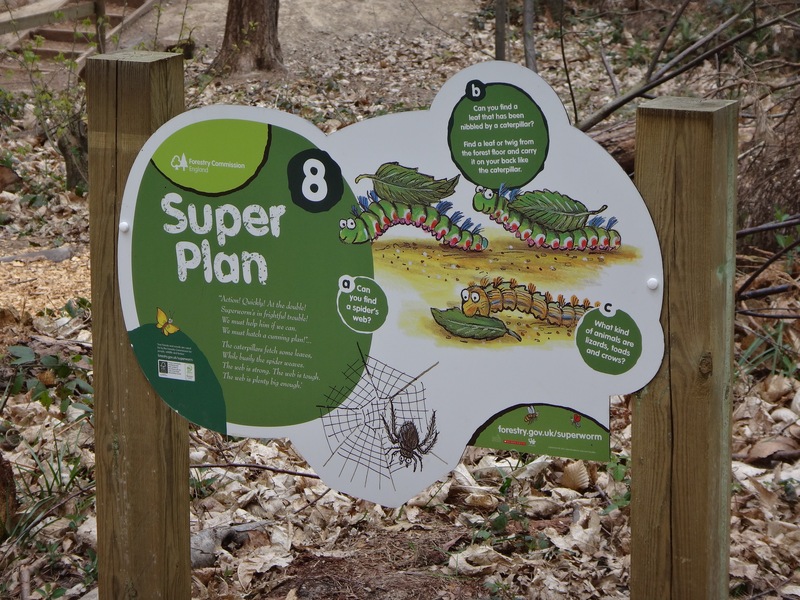 This looks like a fab adventure trail, kids love the superworm story so this is a fab way to get them enjoying the fresh air. 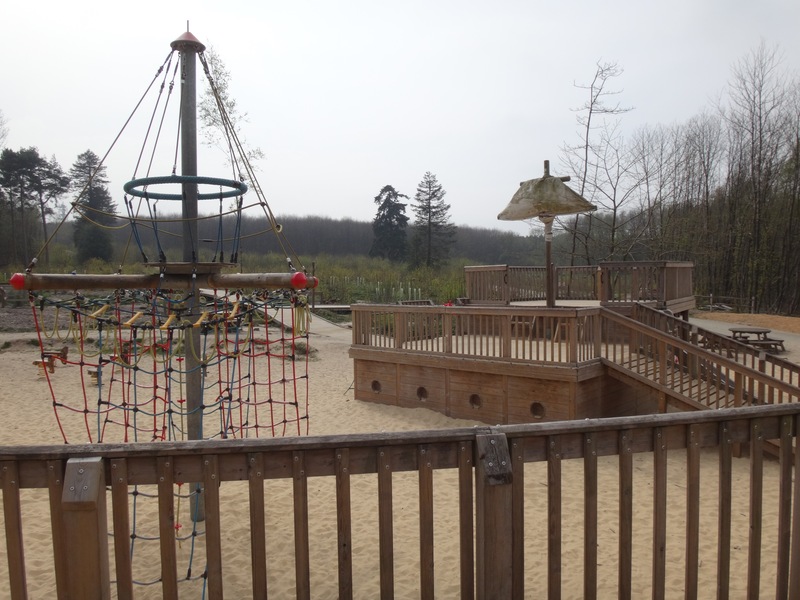 Monkey looks like he’s having a fab time exploring all the different play areas, I’m sure he’ll be keen to go back again to have some more fun! Thanks for linking up with me on Country Kids. How super fun is that?! I love the way it engages kids from different angles – the activity pack, the toys to climb on, etc. Great spot! Oh what a wonderful idea! We’ve only just read Super Worm but my little man adores it so will add this to our list of weekend adventure ideas! What a great play area! 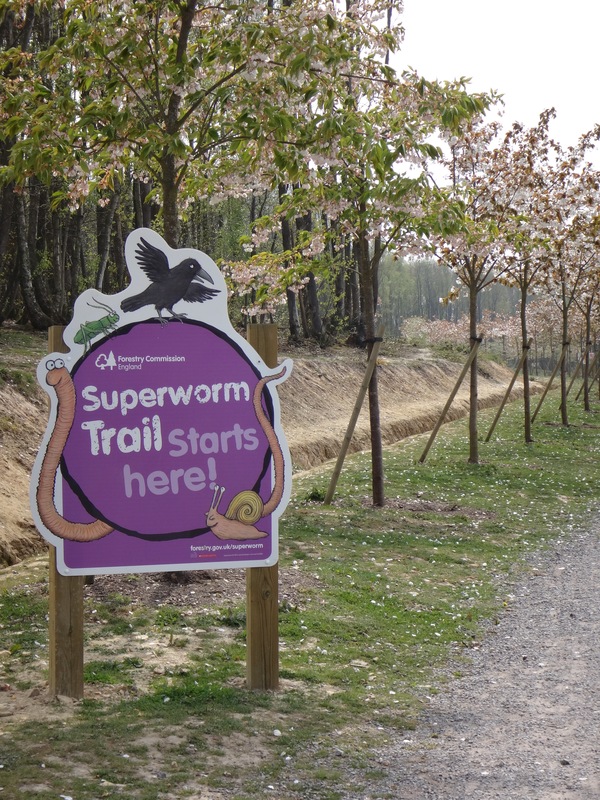 We enjoyed the Superworm Trail when we did it earlier in the year. 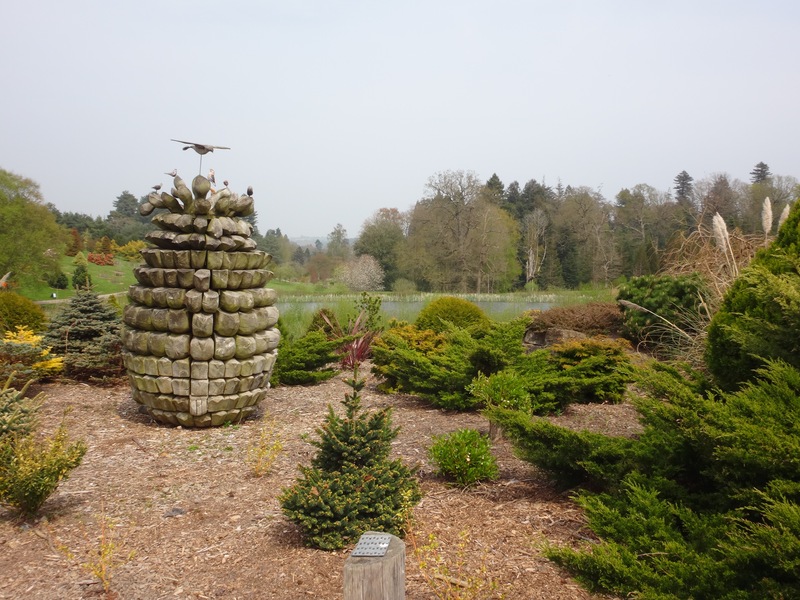 Oh I love bedgebury! We live nearby and often go there, Father Christmas is a good visit there too … he is always in a very generous mood when he visits bedgbury and gives out very nice gifts! 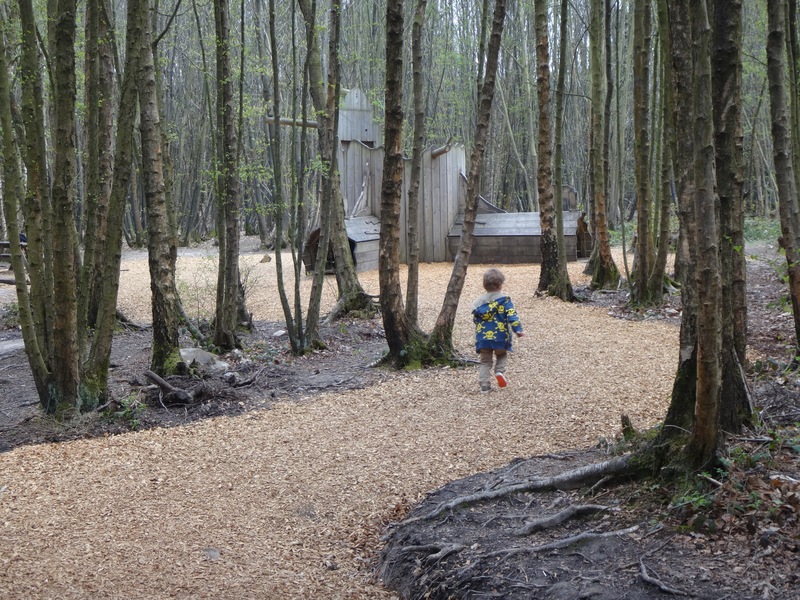 I love trails so much, as do my children! The pirate ships looks epic! Those spiders webs looks awesome, too. I like the fact there are hidden objects, so much more than just a trail! And don’t worry, I can’t take photos while balancing a child on my shoulders, either! Oh how I remember those days. Also LOVE the Gruffalo.